← The View From Turnberry: Less Grand? … the modest income from the quarrying of the island’s prized strains of blue hone and common green and a lease granted to Britain’s Royal Society for the Protection of Birds have taxed the dwindling resources of its owner, the eighth Marquess of Ailsa, whose family has owned the island for 500 years. Like many of Britain’s old landowning families, the marquess’s family has been through decades of retrenchment as a result of inheritance taxes. It lost the family seat, Culzean Castle, to the National Trust in 1945, and in 2010 the current marquess decided to part with Ailsa Craig, posting an initial price of $4 million. That figure was later cut to $2.4 million, and as the waters of the Firth of Clyde have lapped at Ailsa Craig’s rocky shore each day, little has changed in the intervening years. The island remains misty, monumental and for sale. My first impulse, upon reading this, was to simply write a check for $2.4 million, take possession of the island and begin a thorough rehab of its iconic profile. But my very wise wife pointed out that this is the sort of stunt that one-percenters like myself are given to, and my generosity might be misconstrued. So I have decided instead to grant the privilege of preserving third-ranked Turnberry’s view to my readers — a.k.a. “The American golfer.” Send me your donations, large or small, and I will hold them in an interest-bearing account until we meet the $2.4 million asking price. I will then purchase the island on behalf of the Top 50 Charitable Trust, assuming the purely honorific title of “first Marquess of Catch Basin” along with the necessary powers of attorney to carry out the restoration. By “restoration,” of course, I mean restoration of the island to its pre-Sochi profile, which will require the repatriation of some two thousand tons of microgranite. 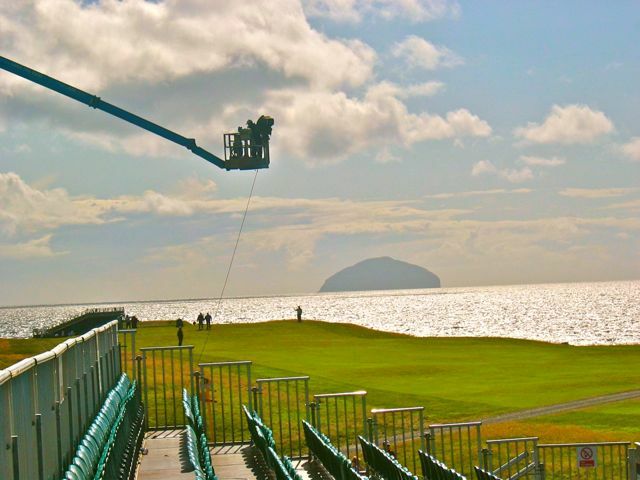 I expect the five-star Turnberry Resort to underwrite this aspect of the project, it being in that Open Championship venue’s interest to preserve one of golf’s most iconic views. But if Turnberry or the R&A should fail to step up, we can follow the example of London Bridge, which was dismantled in 1967 and moved to Lake Havasu City, Ariz., as part of a real-estate deal. My personal choice would be to dismantle Ailsa Craig and reassemble it in the Flint Hills of Kansas, just west of fourth-ranked Prairie Dunes Country Club. This would be good for two reasons. 1) Prairie Dunes, with its view enhanced, would pass Turnberry in the ranking. (I love both courses, but hey, I live in Kansas City.) 2) There are very few Olympic curlers in Kansas. 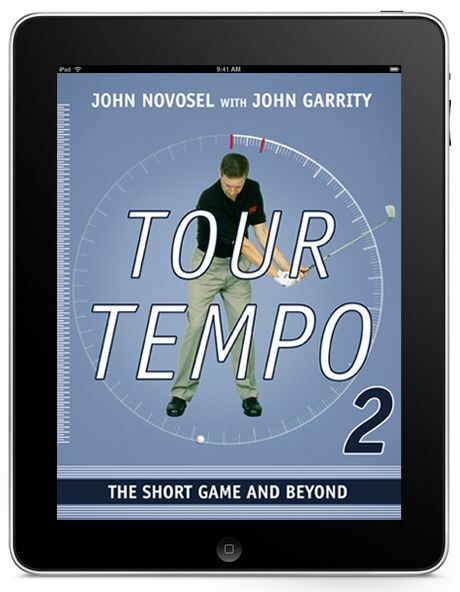 Please make your checks payable to John Garrity. Top 50 on TV: Ninth-ranked Pebble Beach Golf Links hosts the AT&T National Pro-Am at Pebble Beach. 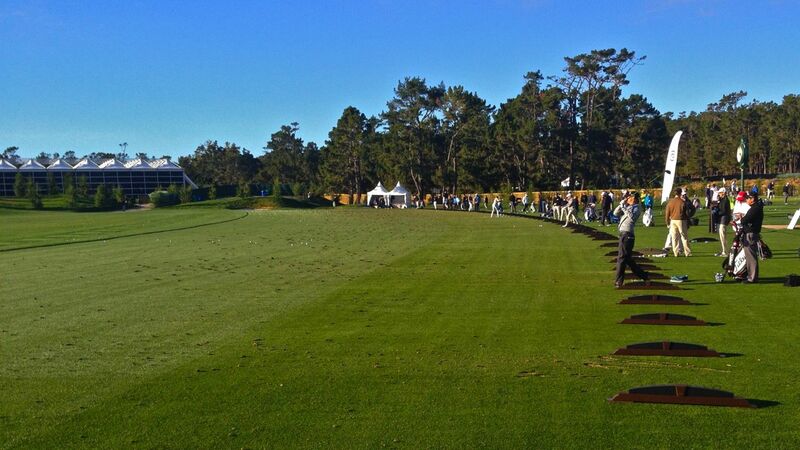 Pebble recently gained nearly a tenth of a point in the ranking, probably because of its new driving range and golf academy, which occupy a large plot of land above the Peter Hay Par-3 Course. Unfortunately, I had to deduct .032 points yesterday afternoon when I saw that the admittedly gorgeous tee line faces directly into the setting sun. (Range rats prefer north-facing ranges, except in the Southern Hemisphere; that’s because water below the equator circles the drain in the opposite direction.) Needless to say, all of the Monterey Peninsula courses would benefit from the addition of an offshore island, if one could be had for a fair price. John – First, I’m flattered that you would choose to incorporate my comment into this Turnberry follow-up post. Though I think I owe it to you to clear something up: As much as I would love 1.) to be retired and, 2.) be the former director of Championships for the R&A, the following comment was not from THAT David Hill. I don’t want you to get an earful from the distinguished Mr. Hill on your next journey across the pond. “It’s disheartening to think my ancient kinsmen have chosen to support the second most Scottish game at the expense of one of the treasures of the first.” – davidhillgolf (which is now 1beardedgolfer). 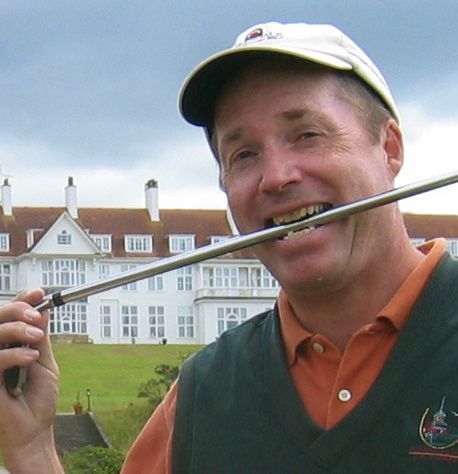 I’m just your average American 12 handicapper of Scottish heritage that has a passion for golf, and happens to write a golf diary blog. If you want to use artistic license to keep the attribution the way it is, that’s fine by me. Keep warm, and I really enjoy the your blog. Reblogged this on One Bearded Golfer.